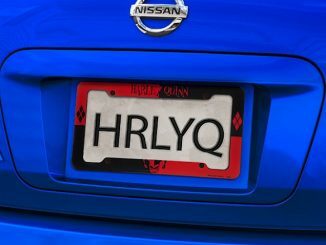 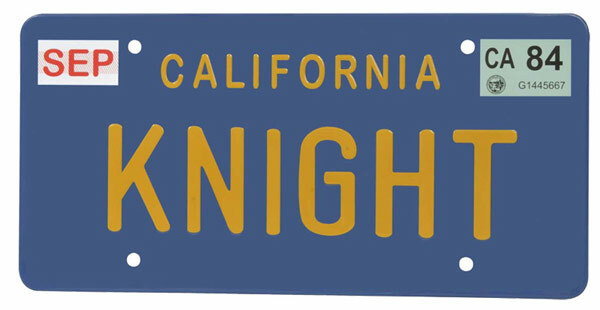 Fans of 80s TV will appreciate this Knight Rider Replica “Knight” License Plate for their car. 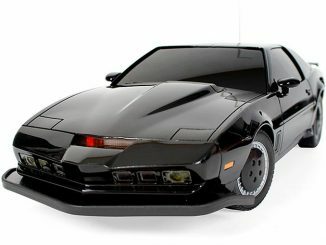 You’ll want to cue the theme music and start talking to KITT. 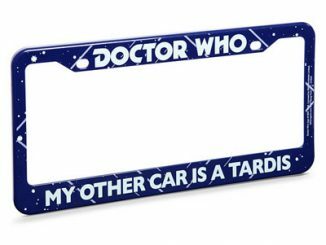 That’s okay, as long as you don’t hear him talking back to you. 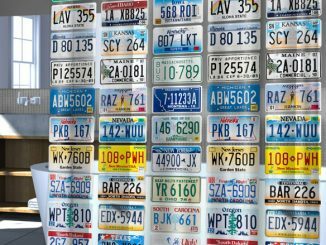 This is an exact replica of KITT’s license plate from the show. 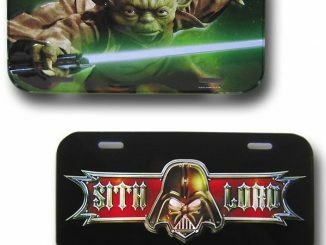 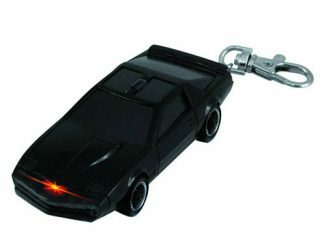 It may not turn your car into KITT, but it looks neat and will let others know that you are a fan of the show. 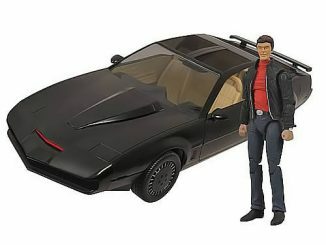 It comes from Diamond Select Toys and features a stamped-metal “KNIGHT” on it as well as proclaiming that it is Knight Industries property. 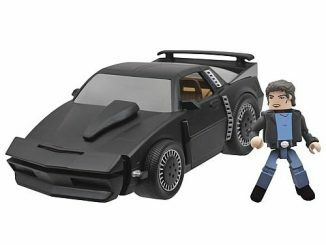 Just $29.99 from Entertainment Earth.